Three powerful African women made it in the list. They are Dr. Ngozi Okonjo Iweala of Nigeria, President Joyce Banda of Malawi and President Ellen Johnson Sirleaf of Liberia. They join global power women who made the list this year including Michelle Obama of the United States, Angela Merkel of Germany, Christine Lagarde of the International Monetary Fund and Sheryl Sandberg of Facebook among others. When Ngozi Okonjo-Iweala left the World Bank in 2011, where she was a managing director and the second-in-command, to become the finance minister of Nigeria, eyebrows were raised. So it was no surprise that she was on the short-list of candidates when the organization conducted an international search for a new leader this April. The top spot went to President Obama’s pick Jim Yong Kim, but many say Okonjo-Iweala was by far the most qualified candidate. This is her second stint in the ministry of finance–from 2003 to 2006 she served Nigeria under President Olusegun Obasanjo, whose administration was known for liberalizing the Nigerian economy, building close ties with the U.S. and closer ties with prominent Nigerian businessmen. Okonjo-Iweala’s main achievement was to secure a debt write-off of $18 billion from Nigeria’s creditors. This April, Joyce Banda unexpectedly became Malawi’s first female president after the death of President Bingu wa Mutharika. Ironically, Mutharika and other leading politicians had not wanted Banda to assume presidency after his expected retirement in 2014, instead endorsing Mutharika’s younger brother Peter Mutharika as his successor. Banda refused to fall in line with the party, forming the People’s Party in 2011. 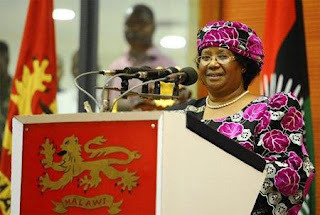 As president, Banda has continued to stay fast to her convictions, selling the multi-million dollar presidential jet, calling for the arrest of Sudanese President Omar al-Bashir if he enters Malawi and encouraging the repeal of Malawi’s laws criminalizing homosexuality. She has been involved in children and women’s rights since the 90′s, founding the Joyce Banda Foundation International in 1997 which has guided projects from empowering market women to providing orphans education, as well as the National Association of Business Women in Malawi and the Young Women’s Leadership Network. Africa’s first female head of state was elected to her second term in a controversial runoff election in November, just weeks after she was awarded the Nobel Peace Prize for her efforts to explore, expose and atone for Liberia’s history of civil conflict. She won 90.8% of the vote in the low-turnout election. 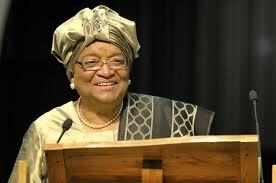 Educated at Harvard University as an academic economist, Johnson-Sirleaf returned to Liberia in 1972 to assume a position in the Ministry of Finance. But after clashes with her bosses, and a military coup in 1980, she began work as an economist at the World Bank in the U.S. From there, Sirleaf returned to Africa to work in the regional offices of Citibank, before taking over the regional office of the United Nations Development Program, where she was involved in investigating the United Nations’ failure to respond to the Rwandan genocide.